Another 2016 CD release which is my favorite CD at the moment: Nihil Novi from Marcus Strickland. Nihil Novi means “Nothing new” and this is a clear understatement and it is also correct at the same time. 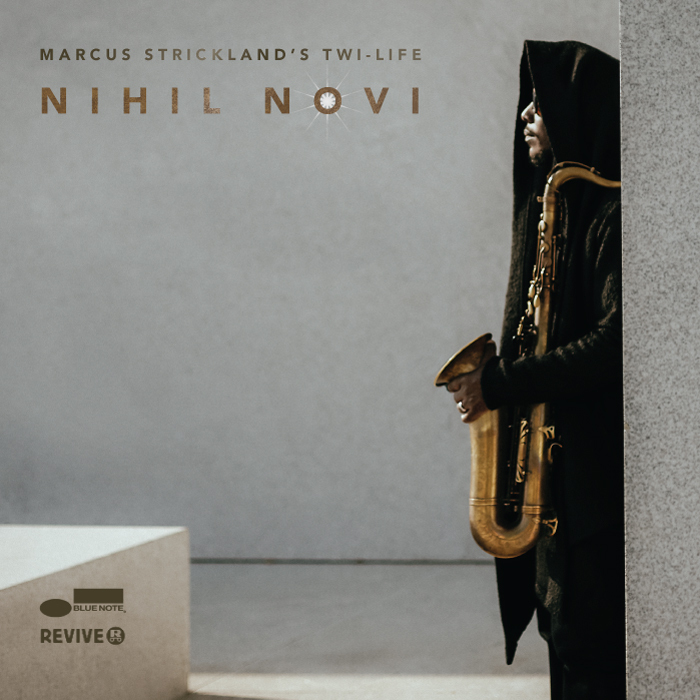 Nihil Novi is not like all the other Jazz CDs I’m listening to but the material on this album sounds quite familiar to material I have been listening before. Here is a musician who took the chance to release a unique album on Blue Note with all the possibilities that are behind that “big” jazz label. I had the chance to see Marcus Strickland in 2012 in Langnau where he was teaching the saxophone class at the jazz workshops during the Langnau jazz festival. Was very impressive and entertaining, what he explained in his classes. Since then I’m following his music. Back to the album: Produced was the album by Meshell Ndegeocello (just found out that she comes to Europe in spring) and there is a long list of guest musicians including Robert Glasper on keyboards, singer Jean Baylor and twin-brother E.J. Strickland on drums. Which song is my favorite: Hard to say, I like the trumpet part on “Mirrors”, I like also those little fragments like “Mantra” and I like the vocals on “Talking Loud”.